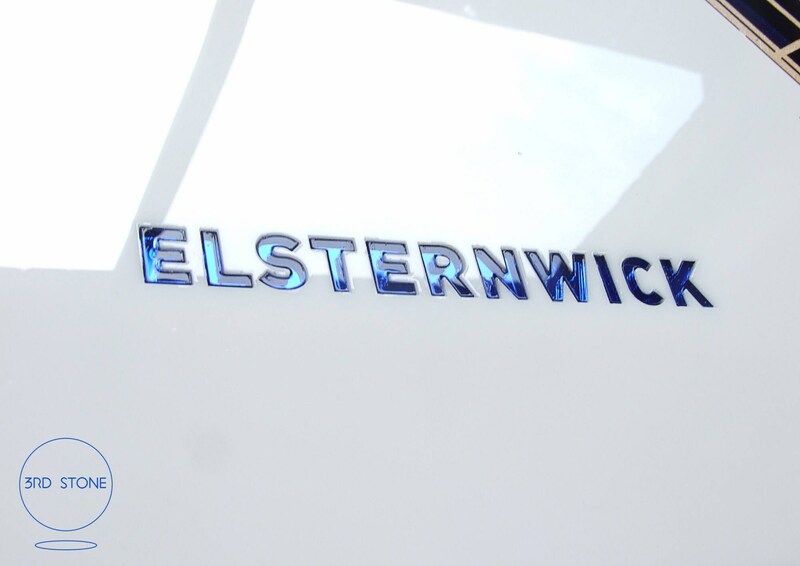 Elsternwick 3185, Victoria. 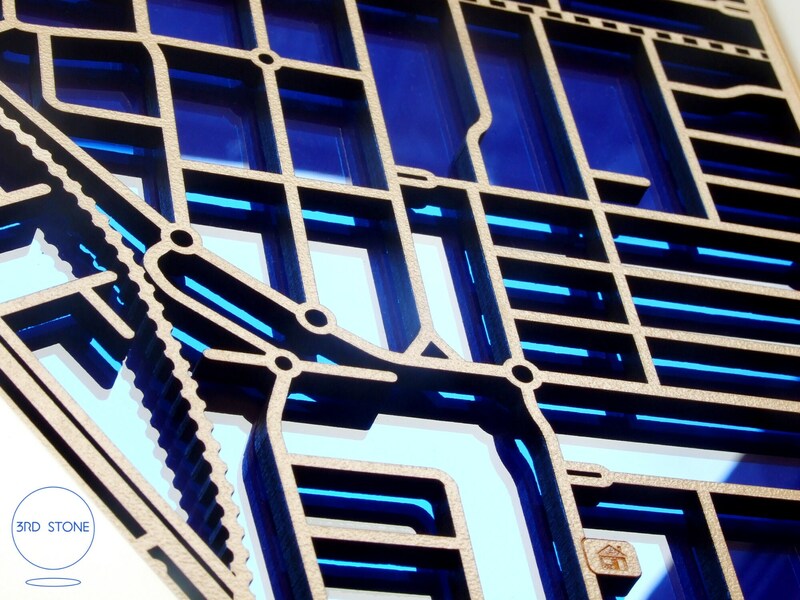 Laser cut, street map, wall decoration in MDF & coloured acrylics. 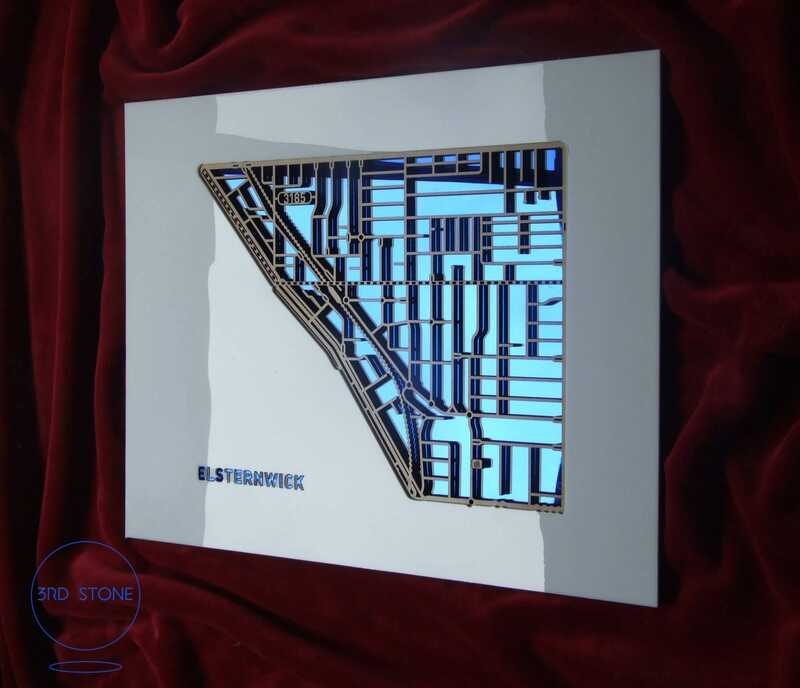 With its beautiful blue mirror background and wealth of detail this map of the beautiful suburb of Elsternwick excels as a decoration of distinction. If you've just moved into the area or if you know someone that has, this makes just about the perfect housewarming gift to really make you feel like you/they belong. 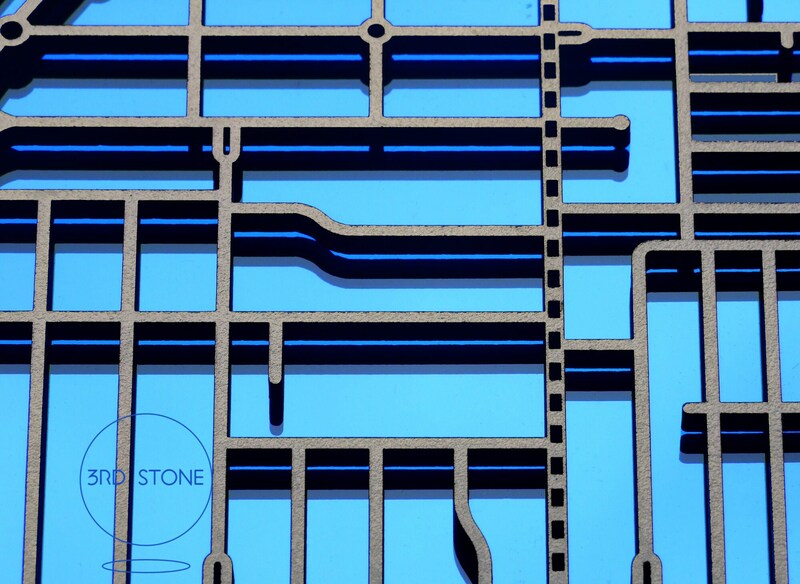 Made from laser cut 6mm MDF and 3mm acrylic sheets. 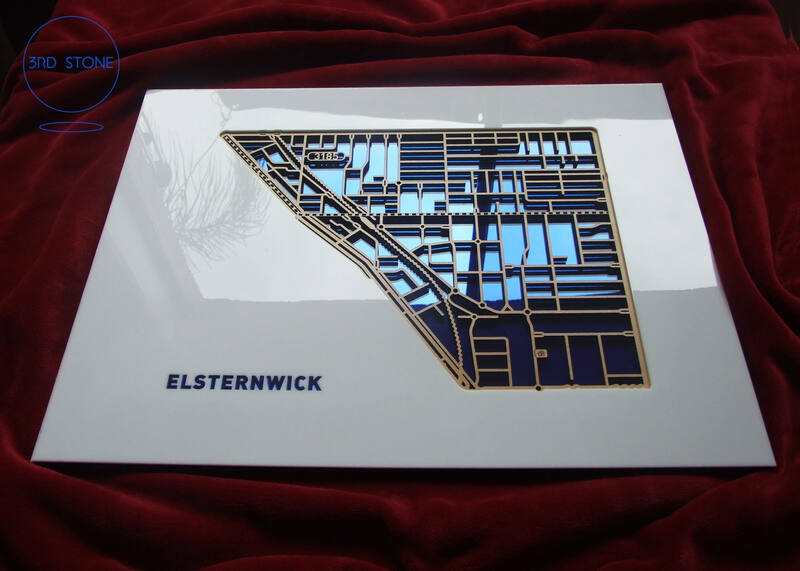 Click on "add to cart" to purchase your Elsternwick map. Matte black background also available for $249.00. Make an enquiry. Black glossy and chrome mirror top pieces also available - make a note of your preference when making an order.